More than a decade after the terror attacks of Sept. 11, 2001, the Associated Press doesn’t seem prepared to definitely pin the blame on al-Qaida, at least in print. In an article published late Monday night about a mock movie poster warning that al-Qaida wants to return to New York City, the AP wouldn’t definitively state al-Qaida was responsible for the 9/11 attacks. “Al-Qaida has been blamed in the Sept. 11, 2001, terrorist attacks, which destroyed the World Trade Center and killed thousands of people,” the article reads. 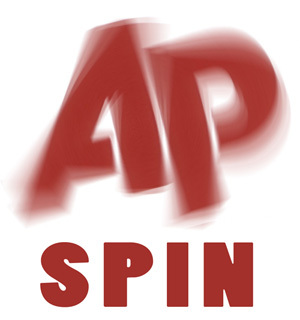 … By time of publication, the Associated Press did not return TheDC’s request for additional comment explaining why, if it has no doubt al-Qaida was behind 9/11, it reported only that the terror group “has been blamed” for the attacks in print — instead of declaring that it was “responsible” for 9/11.